Here's my little alley cat. :FUN STUFF: Who do you think can bring real change to Washington?? Don't be afraid. Enter your name. Then watch...it's true! "I was always looking outside myself for strength and confidence, but it comes from within. It is there all the time." "It's the beautiful, messy, wild life experience that I want to give my children." Don't miss it!! Come on over now and check out the fun! Thank you for all the comments! I sure wish I had more than one copy to give away, but if you are looking for an idea book that will give you some great non-layout projects to showcase your photos either in your own home or to give as gifts, you really can't miss with Show It Off! so I would recommend picking up a copy before the holiday season. MARTY WALDEN! Congratulations, Marty! You should have already received an email from me with further instructions. Stay tuned to A Matter of Memories...I have more great reviews and book giveaways coming soon! 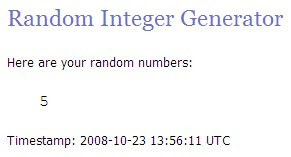 UPDATE: The lucky winner of this giveaway has been announced! Check it out here. What do you get when you get when you bring together 25 of the biggest names in scrapbooking and tell them to create something other than layouts using their scrapbook supplies? You get over 120 stunning ways to showcase your photos and memories in home decor and gift items!! That's what Show It Off! : Scrapbook Pages And Projects To Display has to offer. The wonderful ideas displayed in this books include projects using items such as frames, shadow boxes, acrylic, foam board, clocks, artist canvas, chipboard, cookie sheets, metal tins, glass, wooden cubes, playing cards and MORE! There are also 28 amazing mini-album ideas made from numerous different materials with foundations both pre-made and completely made from scratch. Chapter 1 - This chapter focuses on how to take primarily flat layouts and, with a little tweaking, turn them into display art. Chapter 2 - This chapter focuses on ways to display memory art on the walls of your home. Chapter 3 - This chapter focuses on how to showcase photos in home decor items. Also included in the book are 10 pages of detailed, step-by-step instructions on how to create some of the techniques found in the book. Not only are there several projects that I'd like to try for my own home, but several that would make some really great gifts this Christmas! 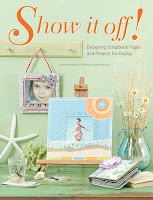 Some of my favorite scrapbook artists have projects featured in this valuable book. List of featured artists: Jodi Amidei, Vicki Boutin, Catherine Feegal-Erhardt, Cari Fennell, Amy Goldstein, Alecia Ackerman-Grimm, Greta Hammond, Barb Hogan, Nic Howard, Vanessa Hudson, Gretchen McElveen, Sandi Minchuk, Amy Peterman, Suzy Plantamura, Mou Saha, Torrey Scott, Genevieve Simmonds, Cindy Smith, Kathleen Summers, Tiffany Tillman, Christine Traversa, Sarah Van Wijck, Samantha Walker, Courtney Walsh, Tania Willis. Visit the Show It Off! page at Amazon.com. You can also read more of my reviews for other recommendations. Yup...that's right! Don't purchase this one too quick because I have one copy to give away. Simply leave a comment to this post including your FULL NAME AND EMAIL by Wednesday, October 22nd in order to be considered for this giveaway. I will announce and contact the random winner via email on Thursday. I counted all the entrants that left both their name and email and we have three new winners of the free one-year memberships to WeScrap!! Congratulations to Melissa, Rose & Lynn!! I will be emailing each of you shortly with instructions on how to access your free membership and I hope to see you in the forum, gallery and more soon! I know, I know...it's been nearly two months since I've posted any idea book reviews and I've gotten a couple emails recently wondering when the next one would be posted. Well, my review hiatus is over and I have several that will be posting in the coming weeks. The first one will post in just a couple days and is EXTRA special. Not only will I review it, but I also have a FREE copy to give away to one lucky reader. I have 3 one-year WeScrap memberships back up for grabs. These memberships are just to good to go to waste, so to make sure I can properly notify the winners this time, please enter for your chance to win in the comments below giving me your full name and email by Friday at midnight (CST). Good luck and the winners will be announced on Saturday. With Halloween drawing near, there are certainly no lack in the amount of awesome spooky scrapbooking products. Here are just five of my faves. 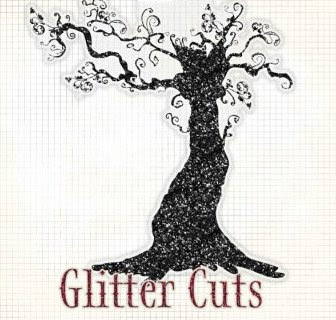 While FP doesn't have a designated Halloween collection this year, this glittered tree transparency would be the perfect addition to any spooky page. While I've not generally a huge Imaginisce fan, these brads are simply too cute...and since my little girl's going to be a black cat this year, I especially like the black cat one. LYB is certainly not disappointing for lovers of October 31st! 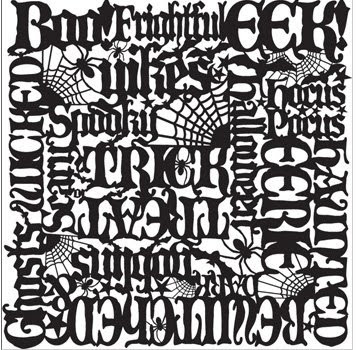 Their Frightful Collection contains a HUGE array of traditional papers, die-cut papers, stickers, felt shapes, ribbon, fabric tags, gems, brads, buttons, clear stamps, letter stickers, chipboard and, if you can believe it, even more. My fingers are getting tired of typing all the spooky goodness of this collection. You'll just have to check it out for yourself. I've been a long time fan of MM, their Spellbound collection is classic with their signature die-cut papers and endless embellishments. Building on the success of their 'White Out' lines, WRMK has come out with their first 'Black Out' line appropriately just in time for Halloween. 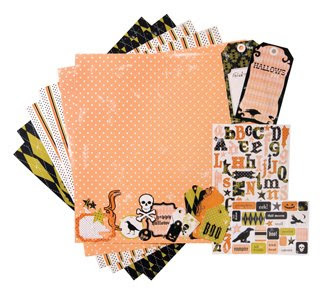 A collection of papers, rub ons, their signature snaps and more, it's sure to be a hit with many Halloween crafters. 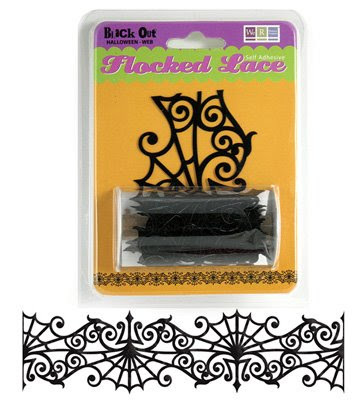 This felt lace caught me in it's web (hehe) instantly! What are your favorite Halloween themed products on the market right now? I'm still waiting to hear from Heather, jules, & Tracy. Since they did not leave me their emails as requested (nor is their any way to contact them via their profile), I have no way to contact them directly. So, ladies, if you are reading this, please send me an email via the link in my left sidebar by Wednesday, Oct. 15th so that I can reply with instructions on how to access your free membership to WeScrap. If I still have any free memberships unclaimed on Thursday, I will hold another random drawing for them as a free one-year membership to WeScrap is just too good of a thing to let it go to waste. So, if you entered, but did not win the first time (or missed it the first time), be sure to check back Thursday and I let you all know if there are any back on the table for the taking. Last weekend, my mom, sister, Kaitlin and I went to Country Apple Orchard outside Harrisburg, SD. I thought we'd try something different this year since we've gone to Garrity's for several years in a row now for our pumpkin and apple picking. It was kind of neat to watch them processing the apples inside the Country Store...if you've never had Honeycrisp apples before, you MUST try them. They are THE best! We got a horse drawn hay ride out to the pumpkin patch. Kaitlin had an apple on the way...she sure does love her apples. She found her 'perfect' pumpkin. They were holding a giant pumpkin contest. Now those are some huge pumpkins!! Although we did have a nice time and the weather was beautiful (unlike this weekend's wet gloominess), it was almost too much...and too many people. I think we'll go back to our tried and true local orchard next year. 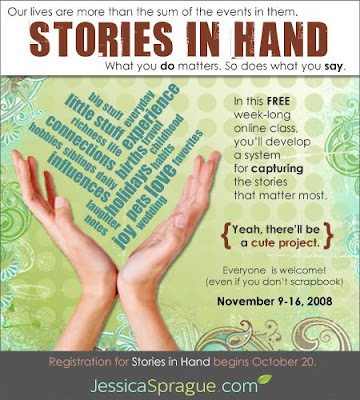 I have admired Jessica Sprague's talent for quite some time now and she is now offering a FREE, one-week class via her website on collecting the stories you want to tell. It's called Stories In Hand. What's interesting about this class is that you don't have to be a digital scrapbooker (as Jessica primarily is) to take this class. In fact, you don't even have to be a scrapbooker at all to take this class. All you need is a desire to collect the important stories of your life and those around you in an organize way. Registration starts on October 20th...I will be anxiously awaiting the date! How 'bout you? I need each of you to email me asap so that I can give you the instructions on how to claim your prize! I can't wait to see you online at WeScrap! There's a few more hours to submit your comments (if you haven't already done so) to this post for a chance to win a free one-year membership to WeScrap. Don't miss out!